Wilfried Zaha is to make a “substantial financial contribution” to support the development of Crystal Palace Ladies’ amateur players. On their official Twitter feed, the FA Women’s Championship outfit thanked Zaha, who last month signed a new contract with Palace, for his “stunning gesture”. The 25-year-old replied by saying “no problem happy to help”. A statement from Crystal Palace Ladies on cpfc.co.uk said: “We are delighted to announce that Wilf Zaha has contacted the club to make a substantial financial contribution to support the development of our amateur players. The announcement follows a report on Tuesday which said players at Crystal Palace Ladies had been told they faced not being able to represent the club any longer if they could not each raise £250 in sponsorship or put up the money themselves. The report said the onus had been put on the reserves to source the money to pay for annual subscription fees. In the statement on Wednesday, Crystal Palace Ladies said: “You may have seen inaccurate media reports about the funding of Palace Ladies, so we thought it would be helpful to set the record straight. “Our senior squad currently consists of 21 players, all of whom are contracted to Palace Ladies and either receive a wage or are paid expenses. “This is made possible by the substantial financial support we receive from Crystal Palace Football Club and our principal sponsor, Utilita Energy, who are committed supporters of the women’s game and are backing Palace Ladies for the third consecutive season. “Our budget and business and marketing plans were clearly set out in our application to join the FA Women’s Championship; in common with many other clubs, we encourage players to seek personal sponsorship to help raise the club’s profile and build links with the business community, but it is not a condition of playing for Palace Ladies. 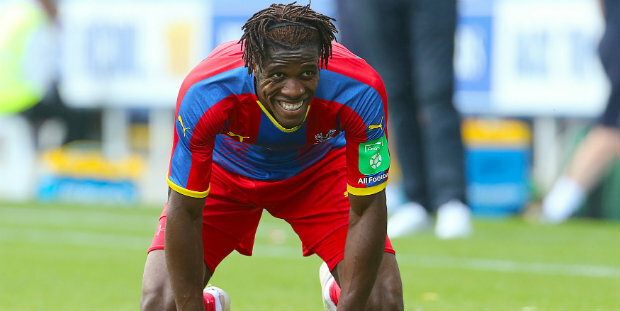 Be the first to comment on "Zaha to make ‘substantial’ donation to Crystal Palace Ladies"